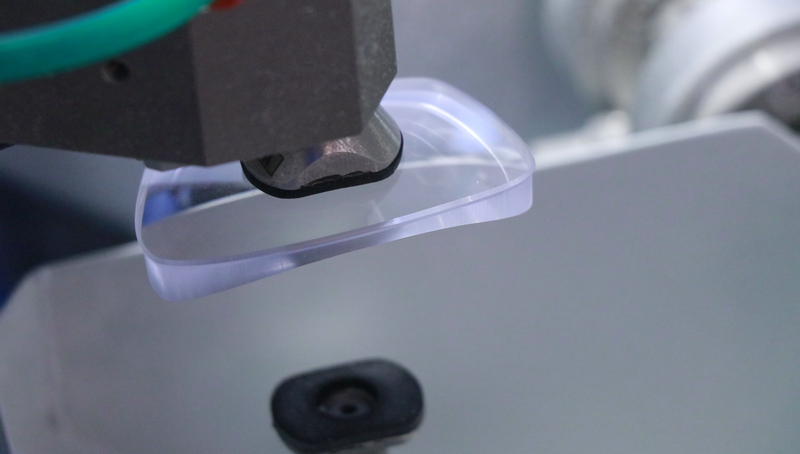 Processes one pair of lenses while a second pair is prepared for processing. 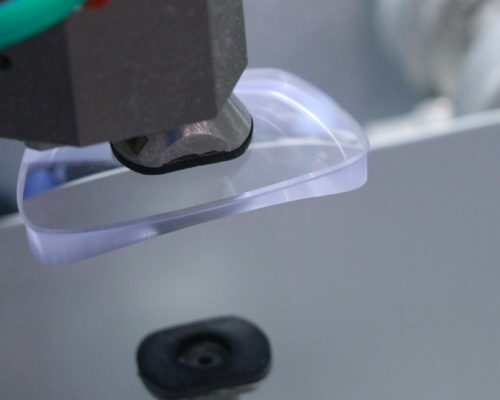 Bisphera-XDD processes one pair of lenses while the next pair is inspected and loaded into the machine. This smart design eliminates the time needed to load between one job and the next. 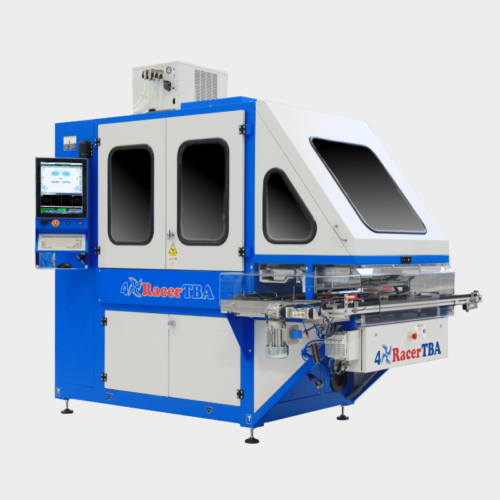 The machine’s conveyor and stacker allows for full automation of the loading process. 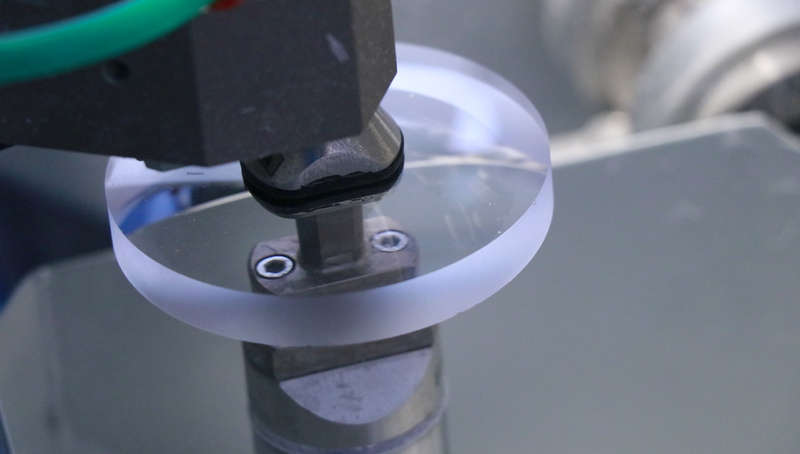 This machine maintains a high level of precision and accuracy in lens cutting and bevel edging. 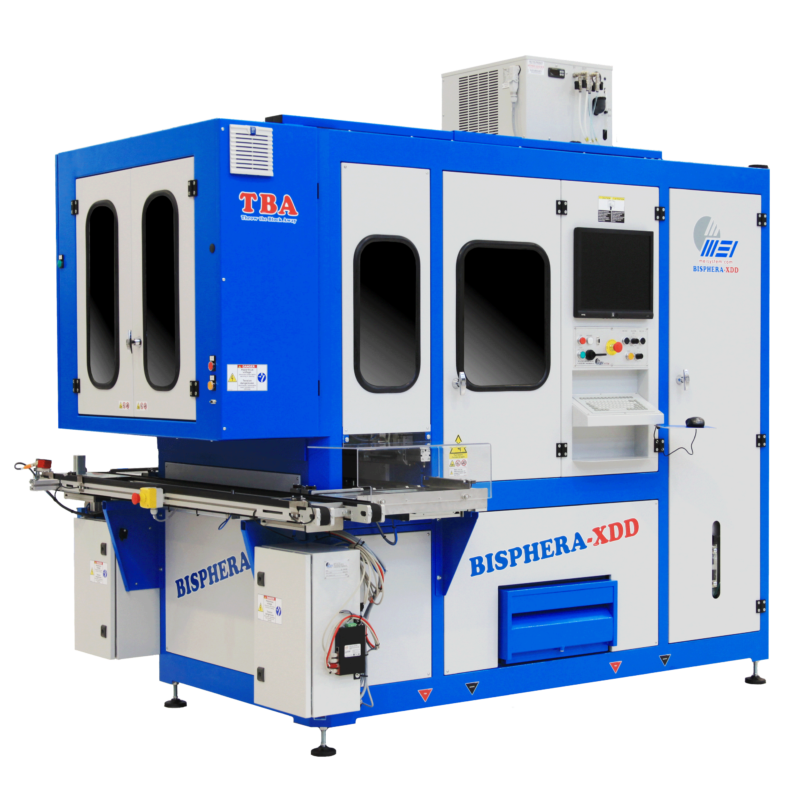 Thanks to Bisphera-XDD, it’s no longer necessary to involve different machines to execute diverse processes. 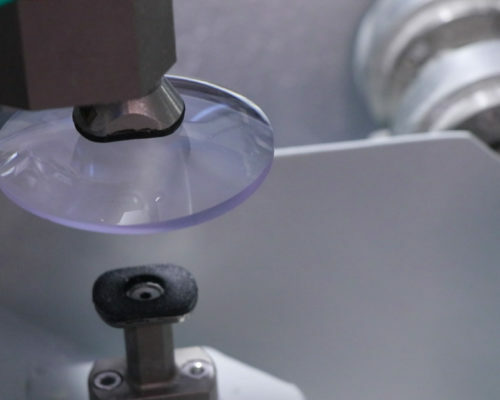 Bisphera-XDD is the perfect solution to your business’ needs for a lens cutter of quality, productivity, and flexibility. 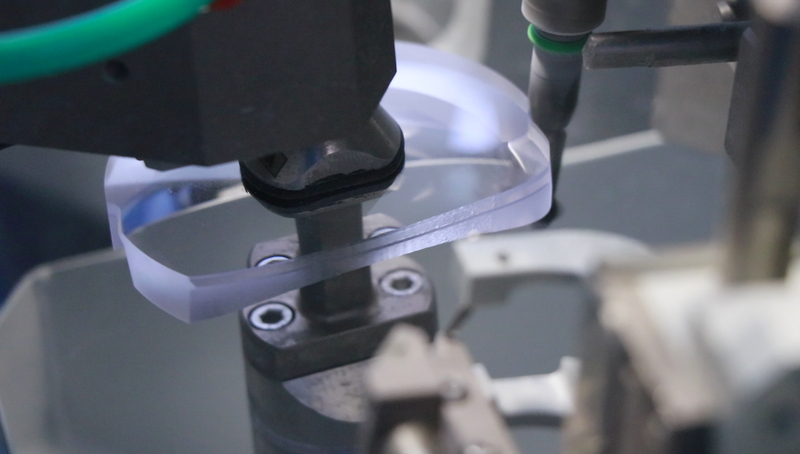 Extreme flexibility: capable of cutting any type of edge eliminating the need to sort jobs. Able to drill holes in any position and of any dimension. Design and industrial reliability that protect your investment as time passes. Software upgrades regularly available to keep you in step with state-of-the-art trends in the industry. 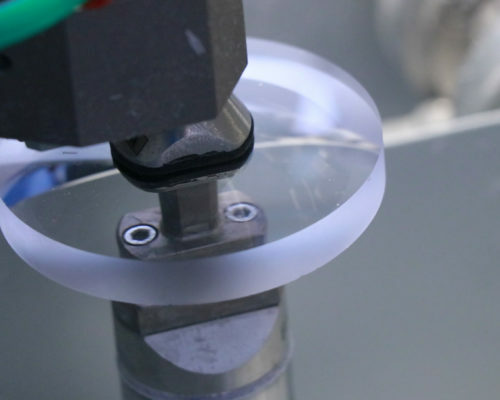 Automatic loading and unloading of lenses to minimize the time spent on one cycle. 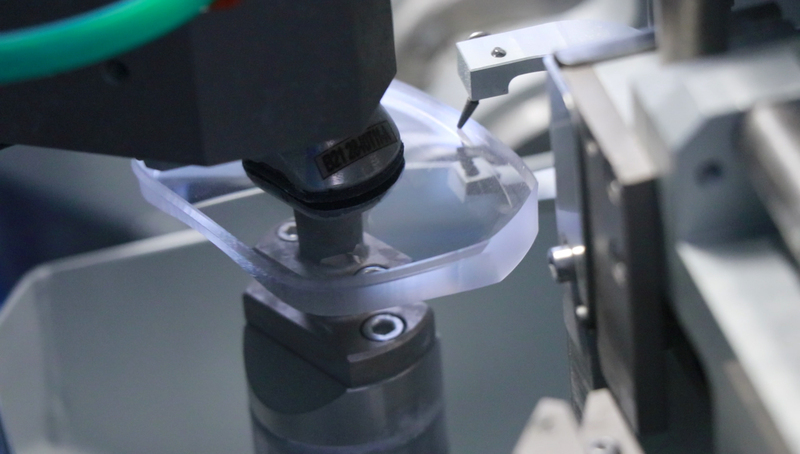 Capable of quickly cutting any shape, bevel edge, holes, and profile using the Tecnocam software. 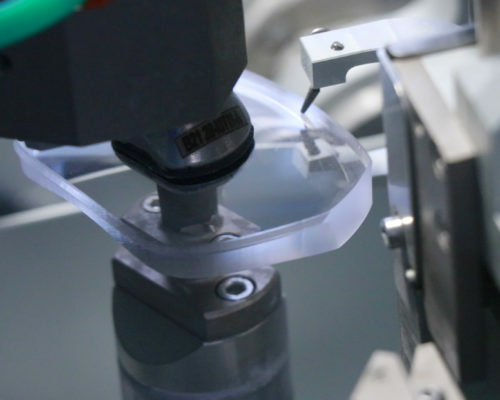 Automatic configuration: the machine optimizes the cutting process on its own, autonomously selecting the inclination of the cut and the position of the bevel. 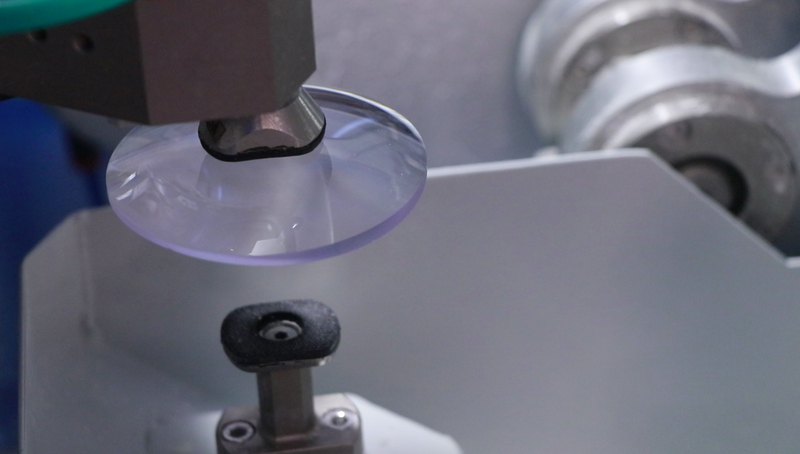 Two spindles operate simultaneously, even in the case of a pair of lenses that differ in shape and thickness. 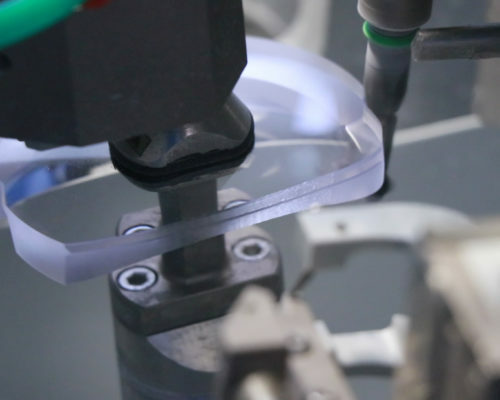 Completely compatible with the common softwares used in the management of optical laboratories. Record and view throughput and alerts on Job Viewer. 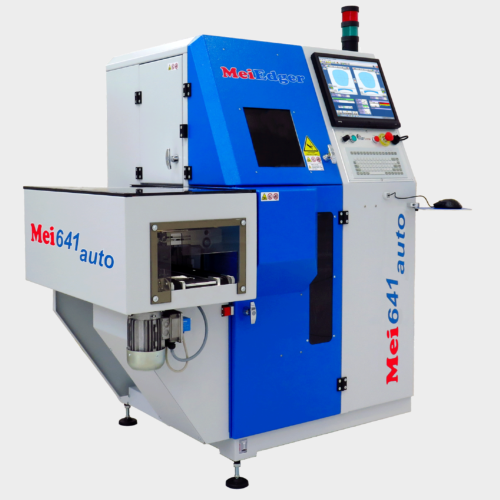 The fastest of the MEI edgers, the 4Racer TBA features an integrated TBA system. 2010 OLA Awards of Excellence winner for Finishing Equipment.